Tenecor Acrylic 400 gallon custom aquarium with full artificial reef. Has steel stand wrapped in wood, canopy, huge bio- ball wet/dry filtration with 2 snapper hybrid return pumps, light. 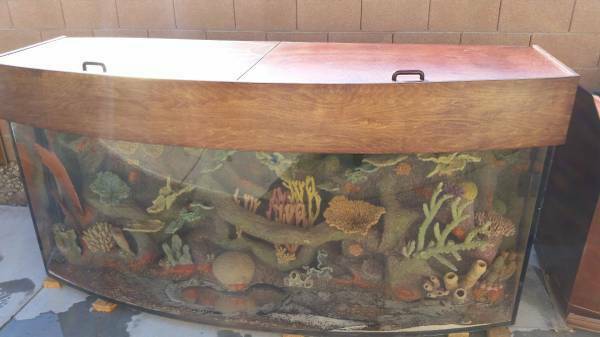 Tank was built by Tenecor and has an amazing custom reef built into the aquarium, the tank is approx 6 yrs old and has minor scratches. Stand could use some minor work as it was dinged up a little in the move, but looks good ( see pictures or come take a look) It was origanally $12,000 installed.